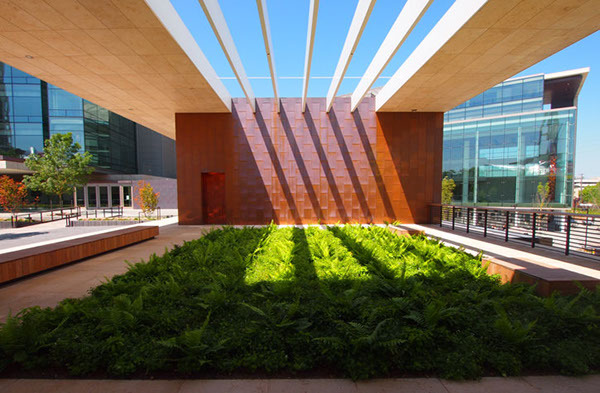 “All Lives Have Equal Value” – The Bill & Melinda Gates Foundation campus is designed as a locally grounded environment for global work and dialogue. 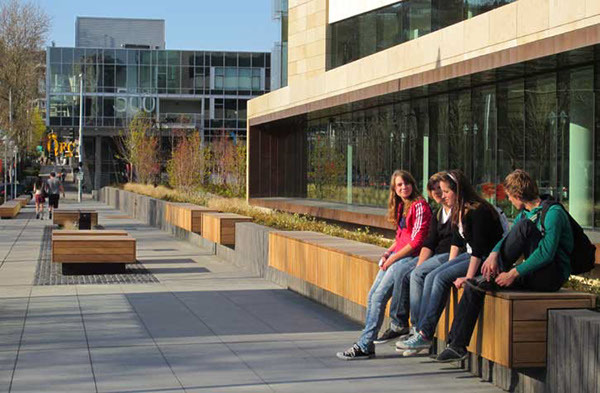 The campus landscape is designed to complement its urban location -- in Seattle's dense neighborhood of Uptown -- while creating an outdoor work environment that serenely expresses the character of Seattle's natural landscape. 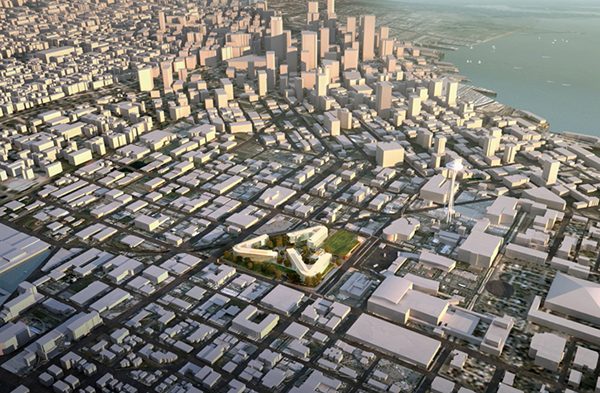 The landscape format is based on the neighborhood's street grid, reinforcing street edges and aligning all features, from pathways to water edges, with surrounding streets and buildings. The materials and functions of the landscape are informed by the site's distinct natural history, as a dark-watered bog in a plateau meadow that absorbed and filtered rainwater. 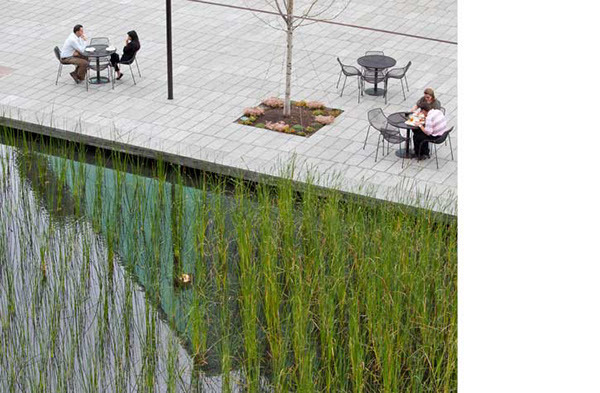 Native and edible plants -- including blueberries and Big Leaf Maples -- surround a central courtyard that "floats" on water gardens planted with native reeds. Rainwater is filtered by green roofs and directed from paved areas into a million-gallon cistern, which fills the water gardens and also serves the site's modest irrigation needs. More information about the new campus can be found on the Gates Foundation website. The 12 acre project was completed in 2011. 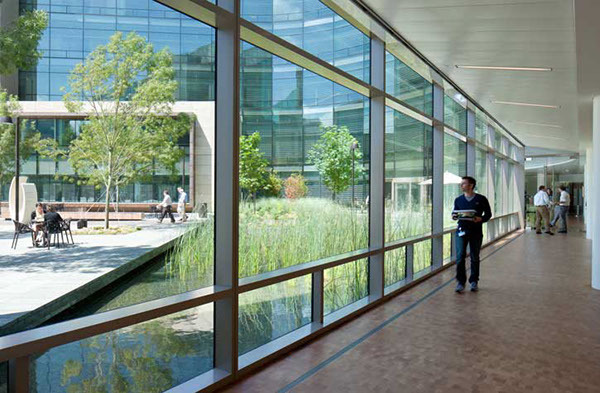 The Bill and Melinda Gates Foundation Campus was awarded LEED Platinum. 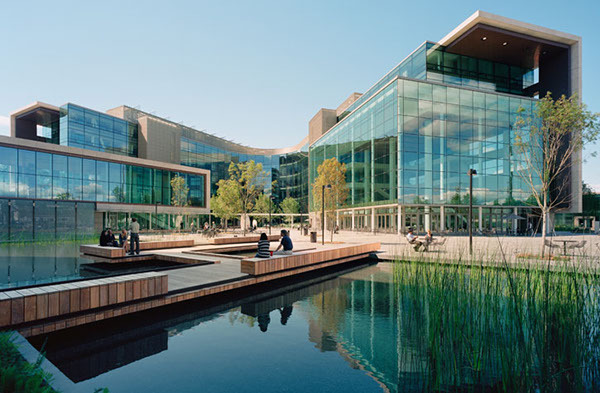 The Bill & Melinda Gates Foundation campus is designed as a locally grounded environment for global work and dialogue.The campus landscape is designed to complement its urban location -- in Seattle's dense neighborhood of Uptown -- while creating an outdoor work environment that serenely expresses the character of Seattle's natural landscape.